AAA titles have a remarkable audio quality. The credit is given to the profession known as the Sound Designer. 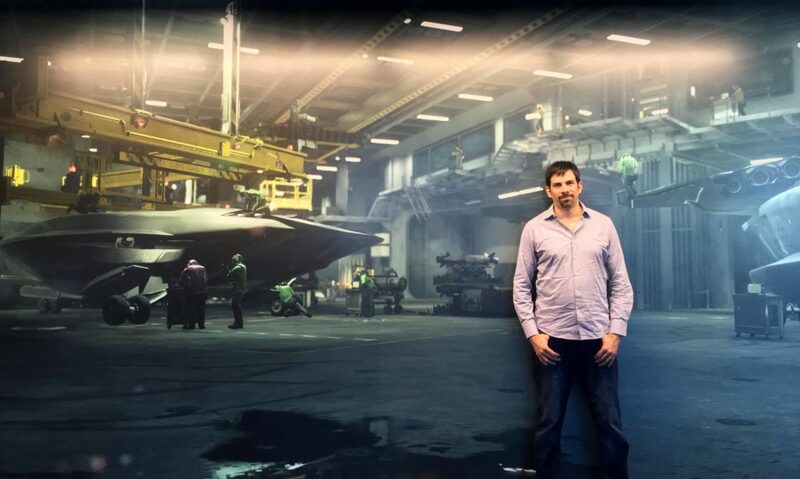 Daniele Carli, Senior Sound Designer, at Infinity Ward. Briefly describe what you did and how you moved to the USA. First of all, I must say that I’ve always had a passion for American culture in music, video games and film. Like everyone, I grew up watching those movies that I loved countless times, mostly during my adolescence. When I decided that my career as a Sound Designer should take place in Los Angeles, I started looking for the names of Sound Designers in the film credits, starting from my most beloved films. The movie that was on the top of them all: The Matrix. Looking for his name online, I found Danetracks, a post production sound company founded by him, and a web page, at the time still online, related to an Internship program. I applied for it and I received a response by email from their team. Although I was living on the other side of the planet, considering that they were used to receive a lot of applications, I managed to secure my spot as an intern in their studio, keeping in touch with them through email and a few trips to Los Angeles. Following an in-person interview with the management, we have decided that I should start my Internship the following summer. That experience inside a post production sound company was so important. It gave me the opportunity to grow, develop my expertise, by following, in-person, the audio development behind international movies. Moreover, I was able to make myself known to famous professionals of the film industry who in turn introduced me to other companies, thus allowing me to create more and more contacts in the USA, some of whom I’m currently working with today. 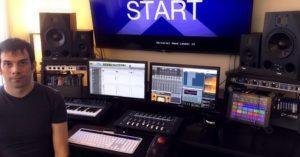 What does it mean and how to become a Sound Designer? Being a Sound Designer means to have a visceral passion for sound creation and manipulation on a narrative purpose. It’s telling stories, using standalone audio as a tool to evoke emotions, images, landscapes, situations. Being able to recreate everything that can be imagined reading a book, for example, without necessarily needing any video or music support. This is how I define my approach to Sound Design. Then, when this concept is applied to films, the Sound Designer must have in mind the whole soundtrack in its entirety, making decisions to achieve the style wanted through a careful selection of sources to record and manipulate. Always keeping in mind the key moments of the story throughout to support a film’s storytelling. In video game production, it is the same: in order to create the sounds of weapons, explosions and everything else with a narrative value in a game like Call of Duty, it is imperative to develop sound design closely connected to the genre and the historical setting of the video game. In order to become a Sound Designer, it is essential to possess a lot of creative and communicative skills, but also a computer, a microphone and a project that you can start working on. It is important to begin using whatever instrument that you have – especially as a first approach – practicing and developing ideas with sound, recording objects of any kind and any technique to transform them to the final result. Personally, I started with the manipulation of MIDI sounds provided along with my first audio card “Sound Blaster 16.” Later on, after my studies in Sound Design, I focused on a open source short film, working on it and recording all sorts of objects and materials, modeling them in order to create a sound for everything: rotating platforms, robotic birds, huge and varied gears, an old phone, etc., all developed through a sound design that could produce a detailed and complete narrative, able tell the story, actions and pathos without any musical support. It is equally important to study audio engineering, sound production, recording techniques and mixing, attending the best and most complete courses that can be found in Italy, or wherever you happen to live, and at other universities abroad. In addition to that, to become a professional it is important to create a network of contacts with clients, directors and audio post production studios or animation studios, whether they are local or abroad. I consider that as an important step to create any career. Now let’s talk about our videogame world: which role the Sound Design plays in our frenetic multiplayer sessions between explosions and stray bullets? Sound design plays a very key role in the creation of weapons, explosions, environments and other elements that lead to the understanding of what we hear and what surrounds us in the middle of a game session, giving to the player the chance to orient their character, and their own reflexes, in the battle. Indeed, sound itself is as important as the visuals: it must reflect the nature of weapons (eg. ballistic or energy), environments, aircrafts, visual effects as explosions or even the speed with which a bullet lashes the air. These are all factors that put the player at the center of a kind of 360 degrees realism, that’s accurate and convincing. Speaking of the FPS game genre, it is crucial for a player to recognize from their actual position where the enemies or the gunfire come from, possibly understanding their best weapon used, before facing them. Details such as shells falling to the ground or bullets hitting walls or ambiences that describe the battlefield, these are all narrative devices that enhance the pleasure of playing the game. A player who can recognize the inside an aircraft or which type of weapon is using only by the sound, will definitely enjoy an immersive gaming experience. That is all possible through a clear and understandable sound design. One that is capable of giving a different personality to each element, and a final result that’s believable, as this gives the player the illusion of being in that time period in which the game is set. You worked at Infinity Ward recently: what can you tell us about that experience? I worked recently as a Senior Sound Designer on the video game “Call of Duty: Infinite Warfare”, at Infinity Ward (Activision Blizzard). At their studio, I have been assigned to the development of an entire part of the game audio, focusing on that aspect during all my collaboration. 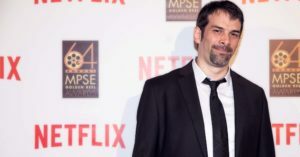 It has been a formidable and intense experience to be part of the Audio Team, working side by side in their studio, focused on the development of that special Call of Duty game sound, making sound design that’s capable of characterizing, in a unique and authentic way, this AAA title that’s so widely known. During my collaboration, I have also attended the studios at Sony Pictures Entertainment, working for the game along with sound professionals who contributed to the realization of such films as 300, Star Trek, Fast & Furious, Batman Vs Superman, Pacific Rim and many others. Being among those people, veterans of the industry, I shared my ideas on the basis of the result I had in mind, then I’d go back to the studio and work on what we produced. This experience was my role at Infinity Ward. It gave me the opportunity to put my hand on a sound quality at the top of the market, and from there, turn the result again in what will later become part of the video game. It is a very special satisfaction to know that my work will be heard by millions of gamers during their game sessions around the world. And finally something light: Tell us some funny moments happened behind the scenes. Certainly a fun, and satisfying, moment was when we were listening to the various voiceover dialogues in all languages in the game. I heard the excellent Italian version! After so much English during the collaboration, listening to some Italian coming out from these audio speakers, was like a manna from heaven to my ears! In explaining that, we had a big laugh among the team.